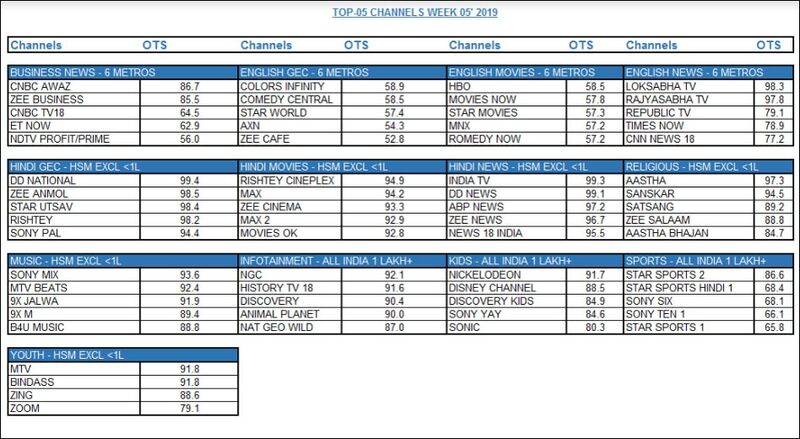 MUMBAI: With a growth of 0.63 per cent as compared to last week (4), the Hindi news genre marked the highest opportunity to see (OTS) among all categories in week 5 of Chrome Data Analytics & Media. OTS is the actual census-based percentage connectivity of a channel spread across 81 million homes, as reported by Chrome DM, across analogue cable, digital cable and DTH. This week, the list saw only three gainers in the list.